As a freelance writer and blogger, I’ve interviewed quite a few people over the years, but one of my favorite was with Dr. Tomas Teskey, DVM, a large animal veterinarian practicing in Arizona. His rational, thought-provoking views on barefoot have led many to re-think their horse’s hoof care. Below is a re-cap of an interview I did with him several years ago. Casie Bazay: You once believed in traditional shoeing practices. What led to your barefoot paradigm shift? Dr. Tomas Teskey: I met a gelding nearly 14 years ago that recovered from founder in his front hooves with the help of natural hoof care specialist, Martha Olivo, and his open-minded owner. He was dead on his feet as far as I could tell—his coffin bones were protruding through his soles—my veterinary medical training did not provide a framework for anything except a grave prognosis. Even if he were to recover, it would only be a “salvage” operation at best—I was ready to draw up the euthanasia solution and place him in the ground. On the other side of that perception (the other side of the Universe, as far as I could tell) was Martha and this willing owner. Inside me was a glimmer of willingness, too. Some shred of space left inside me that was open for a miracle, a different possibility, a different outcome. I found myself trusting Martha and her confidence—she indicated she had worked with horses like this before that fully recovered. So I helped where I could: drugs for pain and local anesthesia to allow for his first trim, and a continued willingness to believe that something else might allow this horse to heal. There were frequent visits, free choice grass hay, other horses around, an owner that spent tremendous time and effort, and a horse that never lost that spark from his eyes. In seven months, he was recovered and cantering about his habitat—the same one where he became sick and nearly died. I could do nothing except be humbled and amazed in my ignorance, wondering how it was I didn’t know so many basic things about how a horse could heal themselves. Since those early days of my real-life education, I have been continually provided with examples of horses healing from the ailments that have been labeled as “incurable” by the most respected and famous veterinarians and master farriers: Horses fully recovered and performing after foundering in all four feet, racing after fractures to their coffin bones, running tremendous endurance race miles on their own feet, jumping soundly barefoot after completely regrowing hooves that show no symptoms of navicular syndrome, and having fun on trails year round in the Rocky Mountains, all without any interference from a steel shoe. Bazay: What would you like horse owners to know about their horses’ feet? Teskey: Metal shoes between a horse’s foot and the earth effectively cut off this connection and promote slow and certain disease—every time, without exception. Steel is an absolutely unsuitable material to protect hooves that are dynamic and alive. They don’t protect hooves in the slightest, they damage them. We now have materials that complement the hooves, allowing them to function as intended and honestly heal from damage caused by steel shoes. Learning how to care for horses involves caring for their feet, and provides a great way for us to be a responsible partner. I would urge anyone interested in horses to investigate how the hoof works, and to empower themselves with the knowledge that will keep horses happy for a lifetime. The hoof and the horse are easy to understand, and there are more and more opportunities all the time to attend workshops to learn how to care for them. Bazay: What is your “barefoot management program” like? Teskey: I have a “living laboratory” of sorts in central Arizona—high desert with varied terrain and live water in streams, divided up in to several pastures. Horses arriving start their experience in a track system that encourages several miles of movement to and from food and water every day. There are always multiple horses around to get to know and dance with, grass-based diet with complementary vitamin/mineral supplementation, and some fairly even but varied terrain to work over. Arizona’s climate is ideal for rehabilitating horses. I can observe sole callus developing within days of horses being on the track, positive changes in their attitude, and decreasing lameness. Most horses have shown up due to perceived hoof problems and associated lameness, but there are always other more basic problems that I’ve noted. Correcting the diet, increasing movement, providing for a herd dynamic and careful trimming and dental work all come in to focus for these horses over the first month they are here. 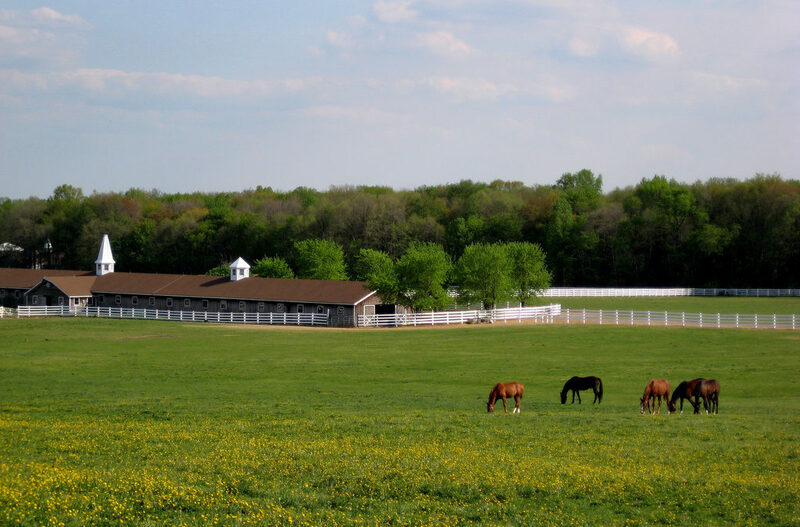 Many move out of the track and on to pasture where they join my own horses and others that have come to thrive. They then feed themselves, trim their own feet, and nurture their own psyche within a herd, moving an average of 8-12 miles per day. It takes time, consistency and dedication from experience to move horses towards health, and I have yet to see a horse that didn’t improve on some level after being offered these basic ingredients. I work with certain horses more or less depending on their situations, and offer ground work and riding work as well. I can generally predict the level of performance a horse will attain after three to four months of healing, giving the owner a good idea of what we might expect, given the extent of their horse’s injuries and disease. It is this work that has been the bulk of my “education” with horses. Everything that I really know down deep has come from watching them in these kinds of situations where they come to their healing after being provided some space. Bazay: Anything else you’d like to add? Teskey: Finding support around so many of these subjects isn’t easy. I would like to let people know that I am here to support what they know in their heart and their gut to be true, and I look forward to continuing to learn alongside anyone that shares the intent to keep it real. My email is tomasteskey@yahoo.com and I have a page on Facebook, Tomas G. Teskey Veterinary Insights. 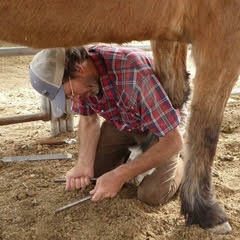 Dr. Teskey also teaches barefoot and natural equine health clinics around the world. If you’re interested in attending or hosting one, follow his Facebook page for more information. 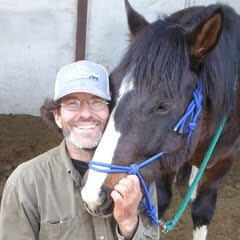 Read the full interview in its entirety on my blog, The Naturally Healthy Horse.